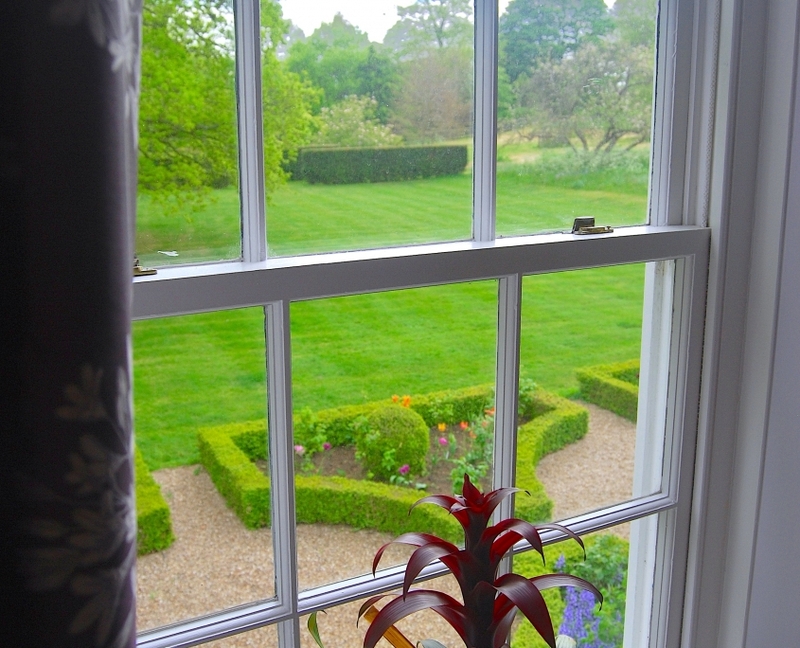 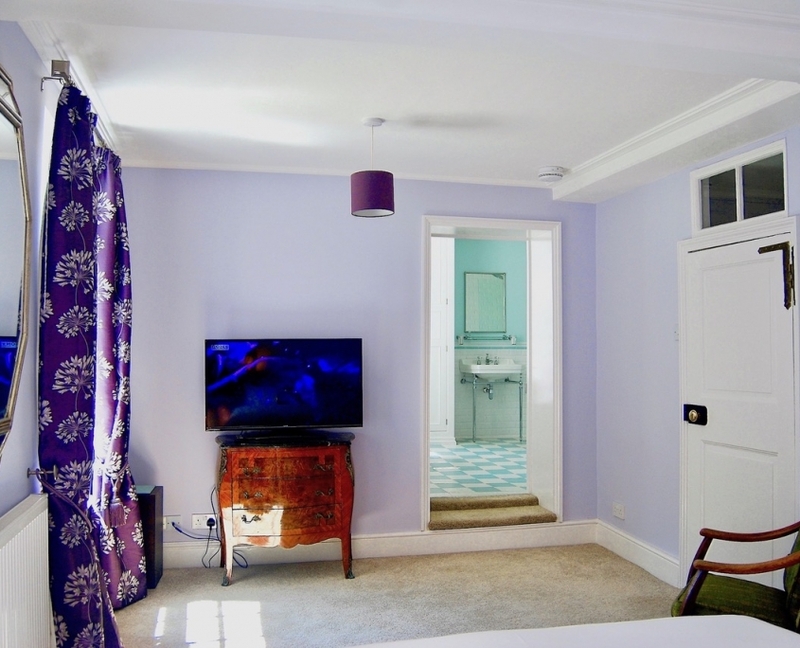 The Blue suite is situated in the 16th century part of the house, it was beautifully renovated recently and contains a bedroom with kingsize bed, 42″ flat screen TV, carpets, sash windows and stunning views over the parterre and main lawn. 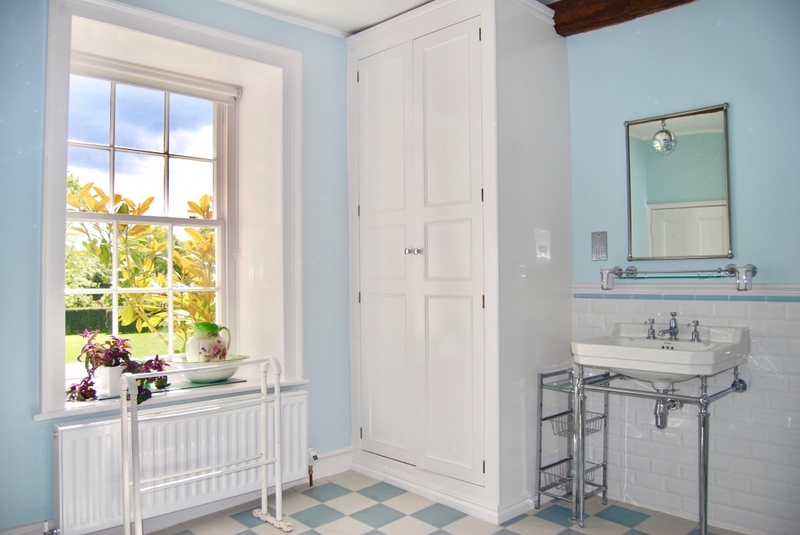 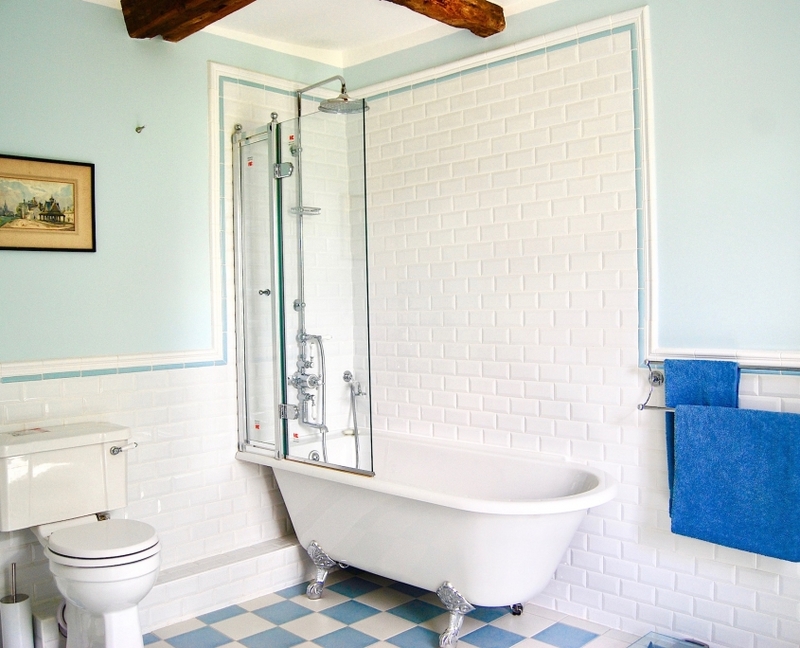 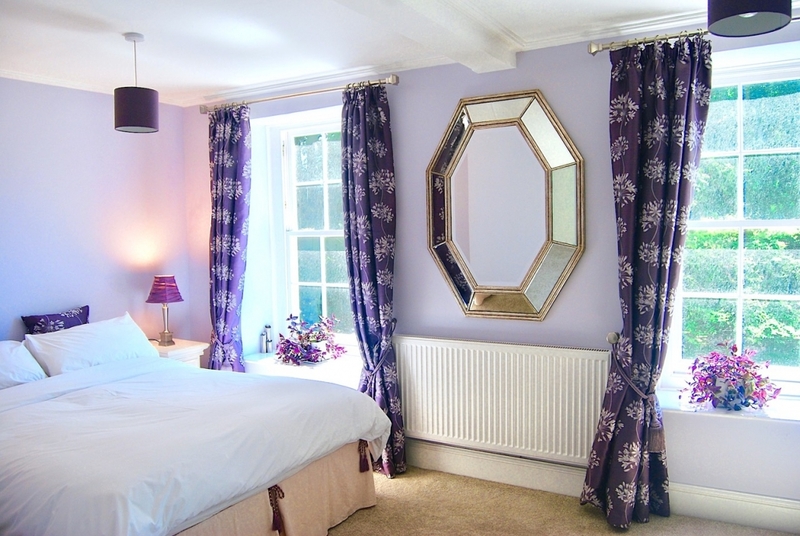 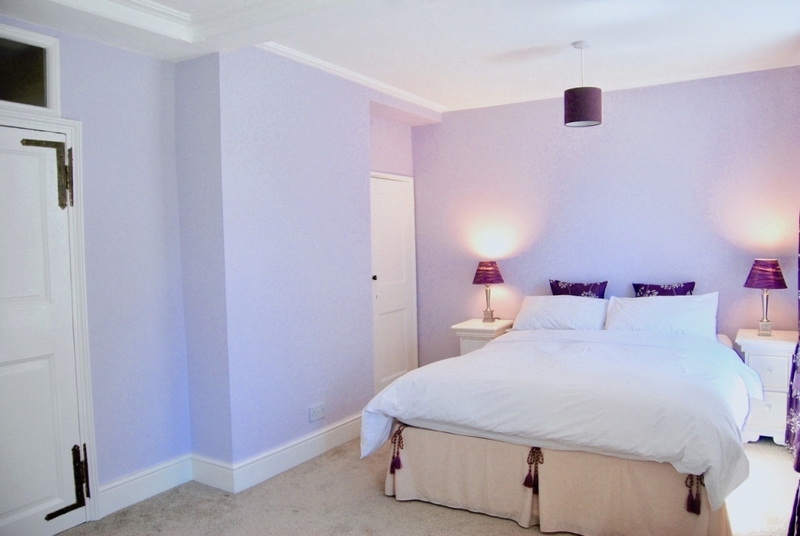 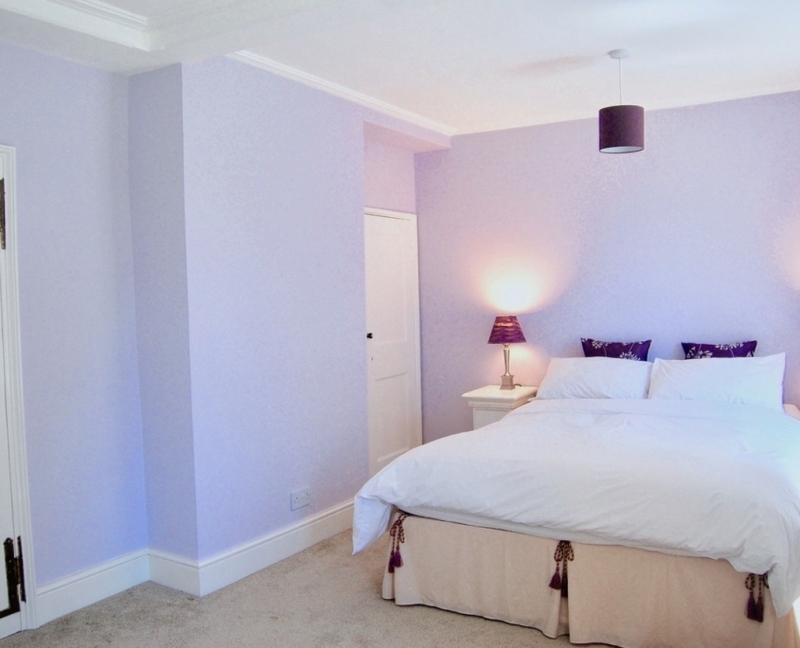 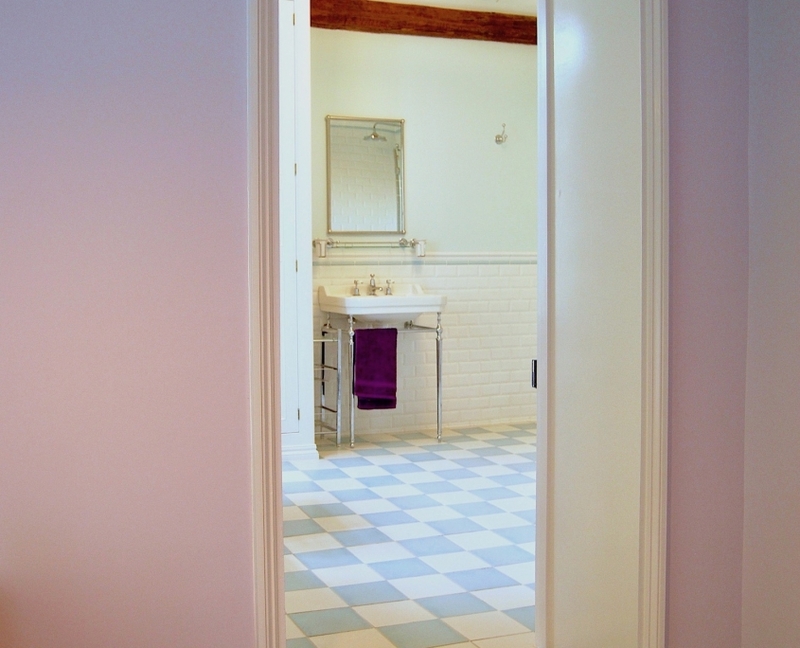 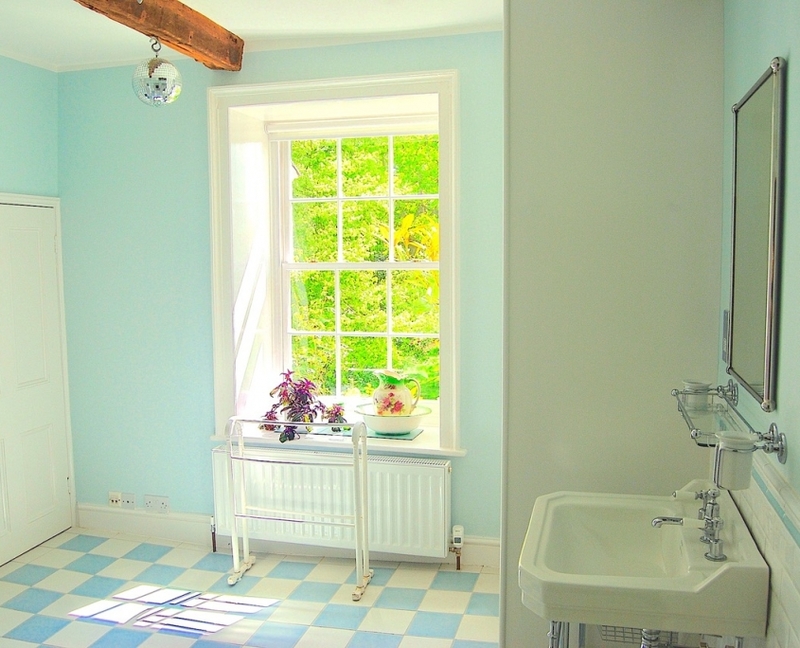 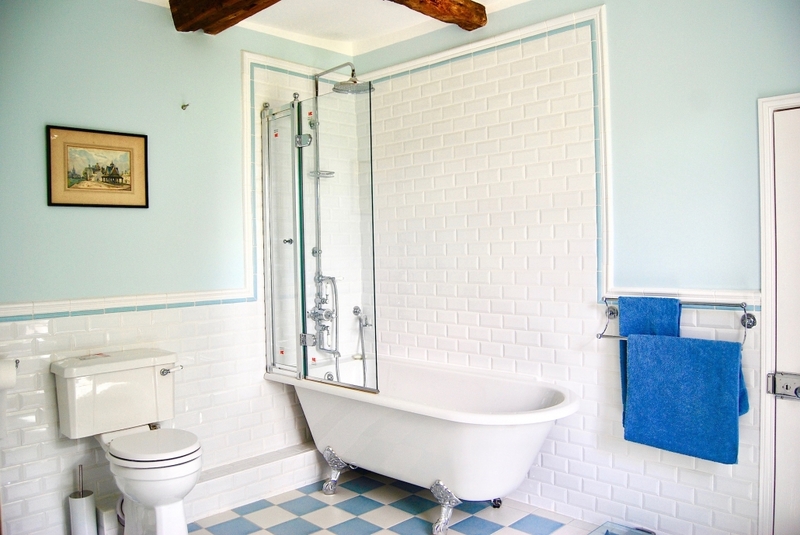 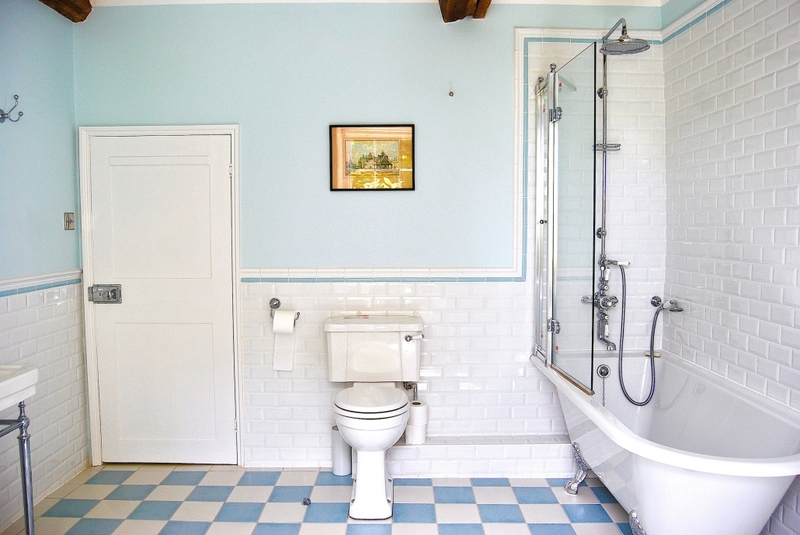 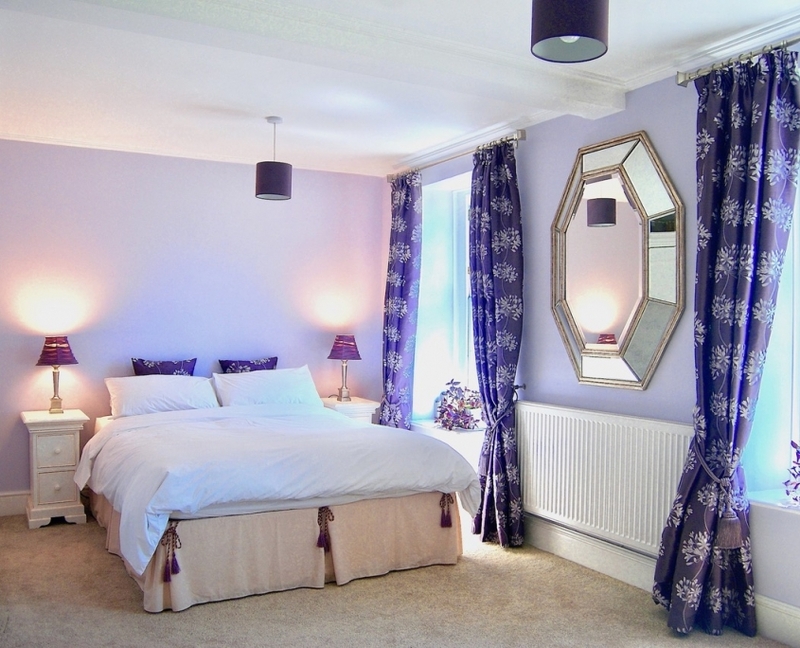 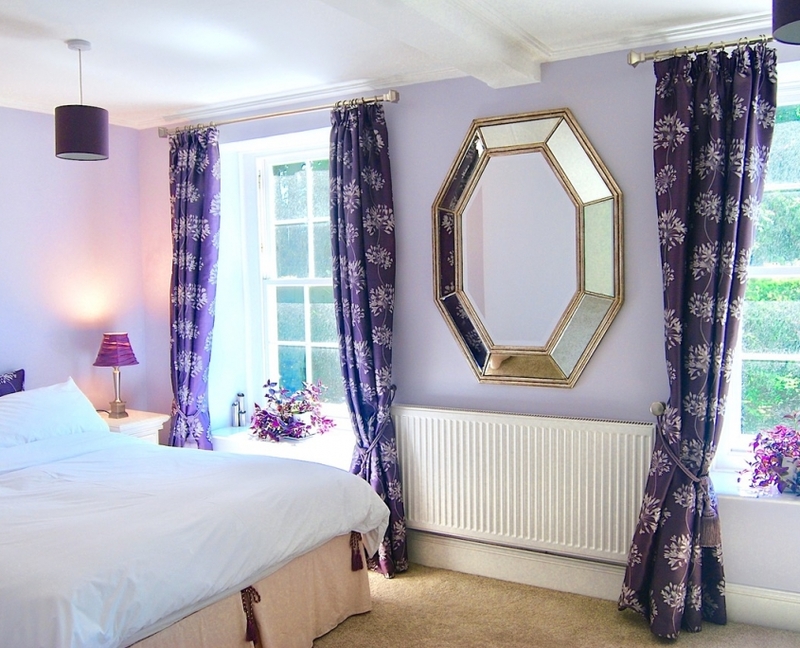 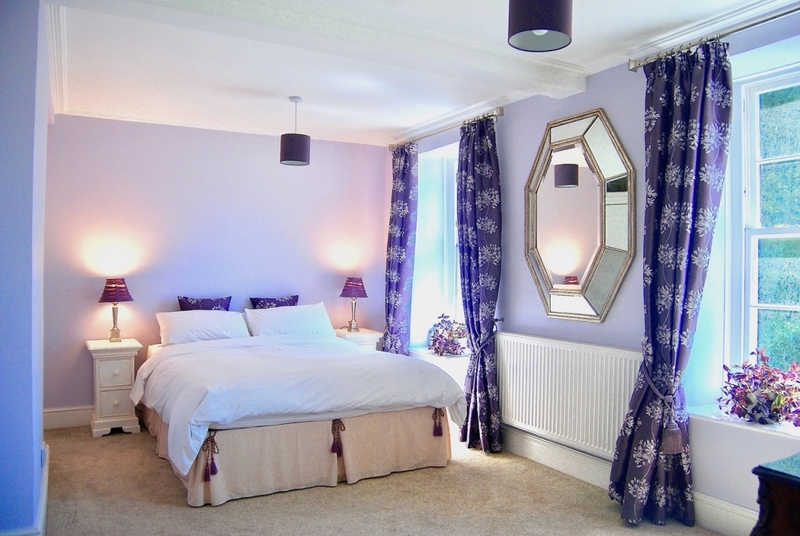 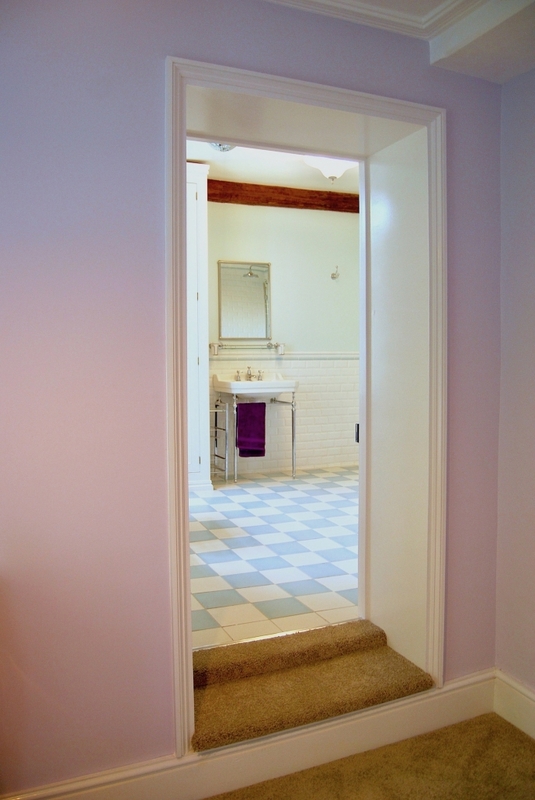 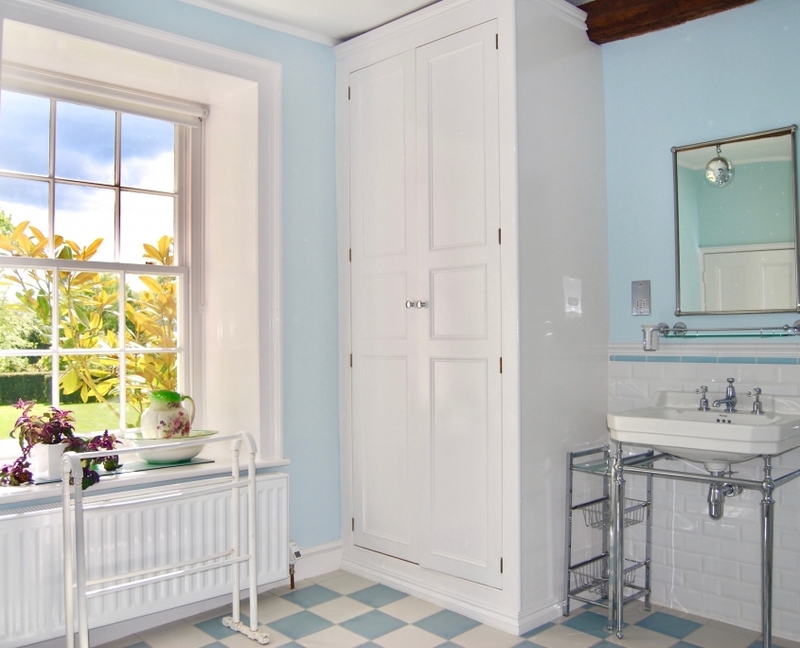 It has its own large, luxury en-suite bathroom with victorian style bath & shower. 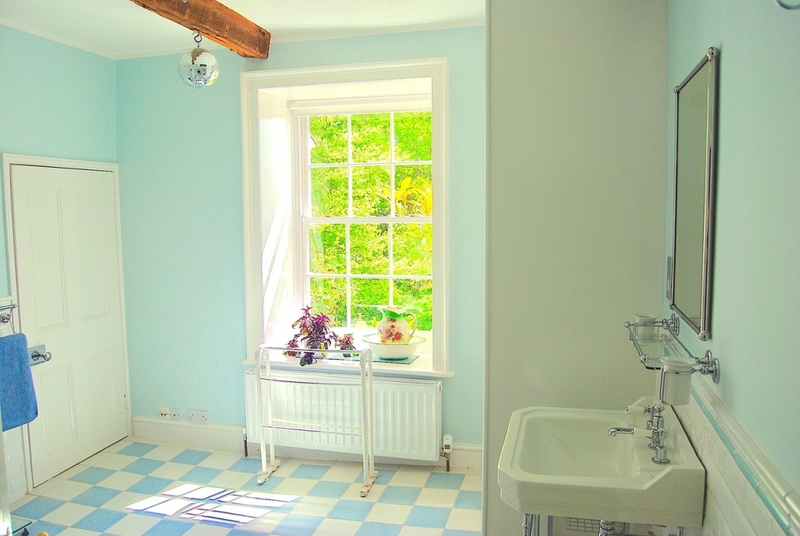 The Blue suite doesn’t have a kitchen but a kettle, microwave, fridge, crookery/cutlery are available in the conservatory with a dining area. 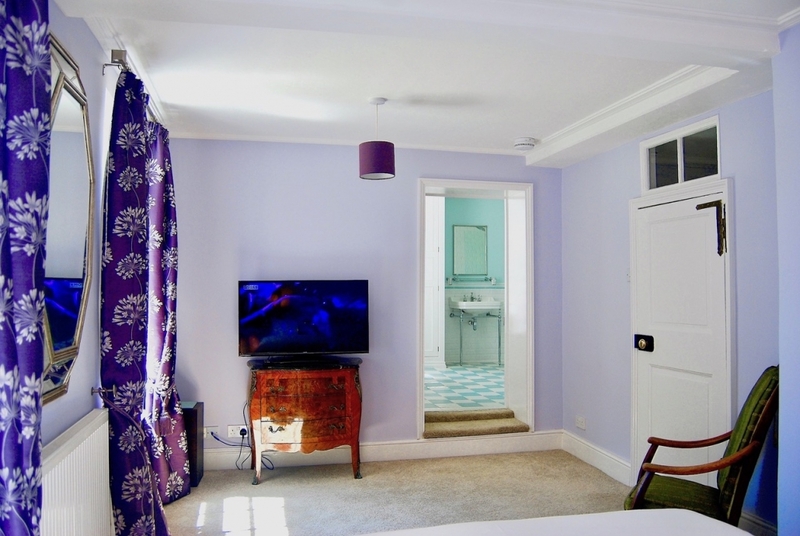 The bedroom in the Blue Suite. 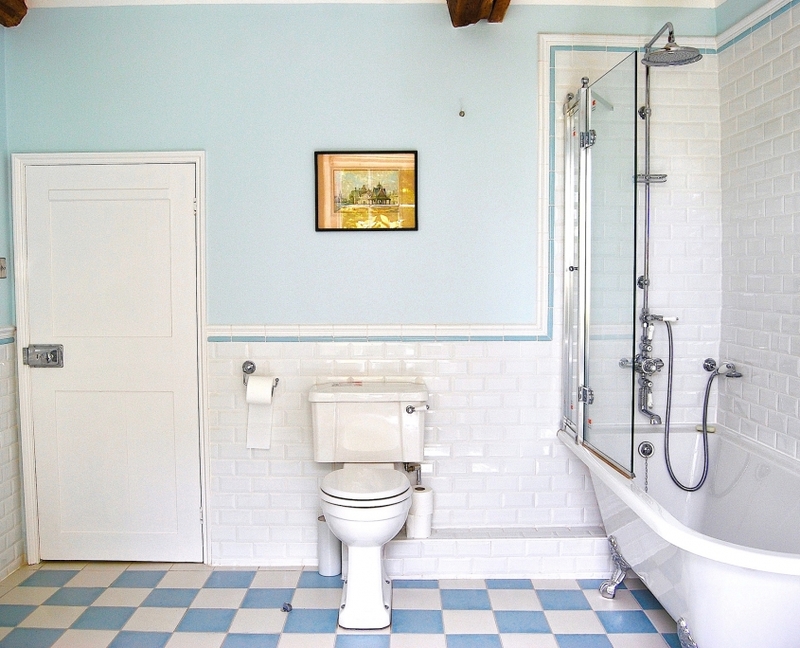 The large ensuite victorian style bathroom. 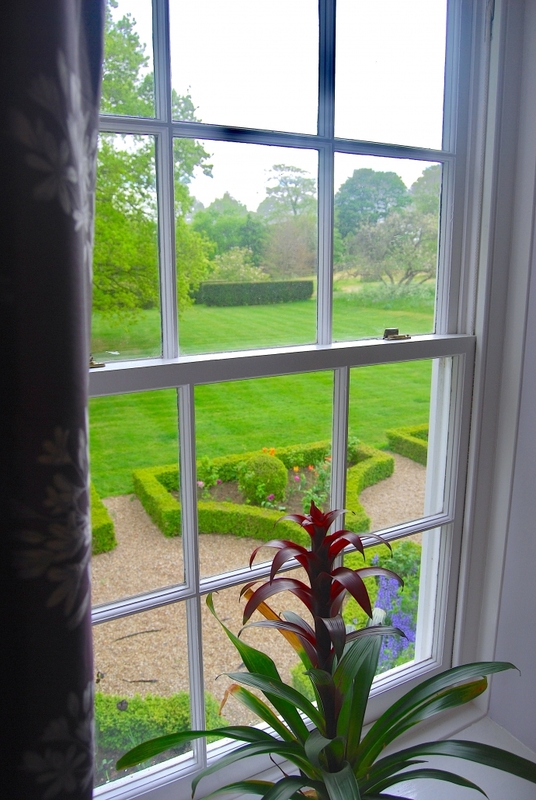 View of the parterre from the Blue Suite.